Virgin Hyperloop One, the high-speed transit venture co-owned by billionaire entrepreneur Richard Branson, has retained government affairs and strategic communications firm Atlas Crossing for representation before Congress on transportation issues. 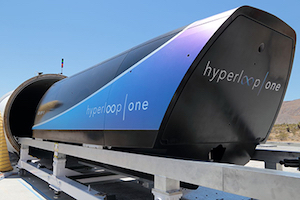 The Virgin Hyperloop One transportation system utilizes a futuristic technology concept first proposed by Tesla Motors chief Elon Musk, wherein pods propelled by magnets and a linear electric motor can shuttle passengers or freight through steel tubes over vast distances in environments free of air resistance, at speeds in excess of 600 miles per hour. A prototype for the system, which has received $295 million in funding to date, is currently being tested in the Nevada desert. Earlier this year, it was announced that the first Hyperloop route would be built in India, connecting the cities of Mumbai and Pune by 2024. Another proposed stateside Hyperloop line, which was recently named project finalist in a years-long competition to host the technology, suggests creating a multi-city route that would connect Chicago, Columbus and Pittsburgh, allowing riders to potentially travel between Columbus and Chicago in 30 minutes. Atlas will work to educate Capitol Hill policymakers on the technology, according to lobbying registration documents filed with Congress in August. The account will be managed by Atlas Crossing founder and CEO Sean Joyce, who was previously chief of staff to Chief Deputy Whip Patrick McHenry (R-NC) and former legislative director and communications director to Transportation and Infrastructure Committee Chairman Bill Shuster (R-PA).